Kelly's Korner: What to wear on GAME DAY BABY!!!!! What to wear on GAME DAY BABY!!!!! College Football season is just a couple of weeks away and I can't wait. It's my favorite time of year! If you know me - you know I'm CRAZY about college football. And the Hogs are preseason #10 and I just have a good feeling about our year. This time of year every year - I start thinking about what I'm going to wear on game day. I went to every home game for most of my life but right now Scott goes with his best friend and I watch on TV since taking the girls is too much and getting a babysitter is hard too. (Although I just found out I get to go to the BIGGEST game of the year - Arkansas vs Alabama and I am BESIDE MYSELF!!!) 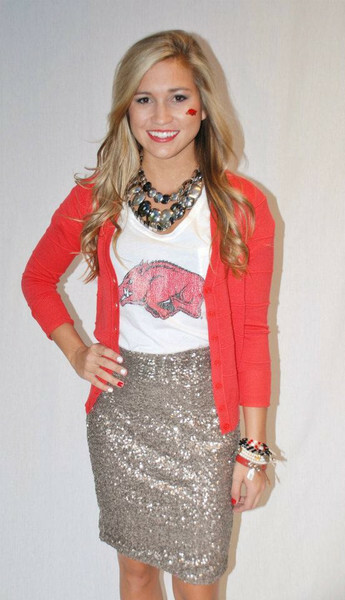 So even if I stay home - I need a game day outfit! And of course now I have to have game day outfits for two mini fans as well. Am I the only one who goes shopping and thinks in SEC (or other team) colors? 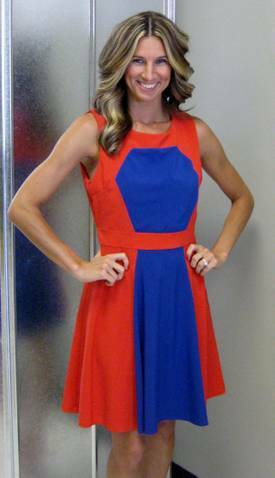 I am constantly seeing a cute orange dress and thinking I need to text it to my Tennessee friends or something Blue and Orange that my Auburn Friends MUST wear to games. And I will never get it out of my system to constantly scan for cute clothes in Red for game day. Nearly every year I do a post on Game Day outfits and where to find them. A few years ago it was kind of tough to do but stores and boutiques have gotten on board because they all seem to now have "Game Day Lines" of Clothes! And I am EATING THAT UP! So here we go........cute clothes for game days! (and if you live where wearing Tshirts or sweats or jerseys to games is the norm......just bear with me). I have long been a fan of the Blue Door Boutique but now I feel like we are kindred spirits because they have a GAME DAY SECTION to their website. I mean - Vanderbilt fans - would you not be the cutest in this dress? And I need all of you cute Auburn girls to promise to wear this to at least one of your games? EEK! 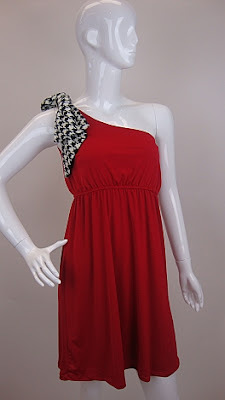 I would totally yell "roll tide" in this dress (if I was from Bama). CLEARLY I'm biased - but if you are a hog fan - RIFFRAFF has a whole Game Day line too and everything from t-shirts to dresses. I love this look with the necklace! Casual and dressy at the same time! 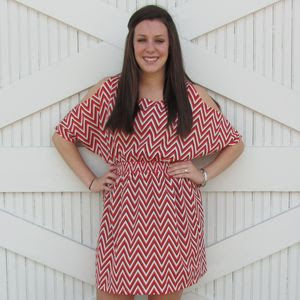 Here is another cute shop (based in MS) called Janie Rose Boutique. They have a GAME DAY section as well. Alabama and Arkansas fans - how cute is this? Seriously - if you were wearing this I need to know how many times you would sing "Rocky Top" or "The eyes of Texas"???? How about this cute dress with cowboy boots from Passionately Rivalicious? They have cute clothes for women and kids! Another cute girl Danielle has a blog and she has put together looks for a ton of schools for game day!